KATHMANUD: The emergency meeting of the central committee of the CPN (UML) called to take a final decision on the party’s stance on Chief Justice-led government is underway at the party central office. The UML is expected to take a decision in favor of the CJ-led government though a section of the party leaders has outright opposed the idea. 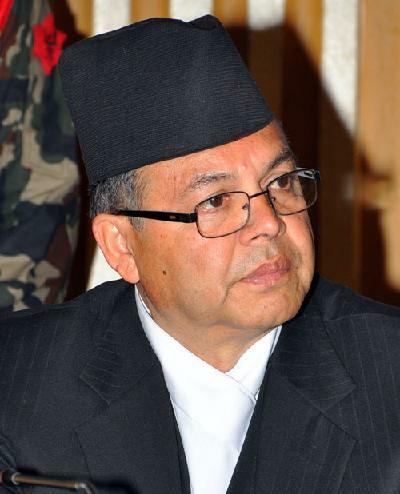 UML Chairman Jhalanath Khanal is in favor of the CJ-led government while general secretary Ishwar Pokhrel and KP Oli and some second rung leaders are against the CJ-led government. However, the major four political parties were undecided on Thursday due to the UML’s proposal for seeking more time to hold discussions in the party meeting. In order to engage the parties in the talks to expedite the process to find a solution to the current problem, President Dr Ram Baran Yadav hosted talks twice on Thursday and garnered their views and updates on consensus efforts. However, the UML’s standing committee meeting failed to come up with any concrete view about whether it was for the CJ’s leadership of the election government. As a result, the party then entrusted the responsibility of taking the decision to its central committee meeting, which is underway from this morning.